These affordable football trophies are suitable for a wide range of events and achievements, from player awards to team and competition prizes, and for both male and female recipients. Made in resin with a fully 3D ball set on a column, they have an aged marble effect finish in antique silver colour. The trophy includes a football theme 1in centre and an engraving plate on the base. 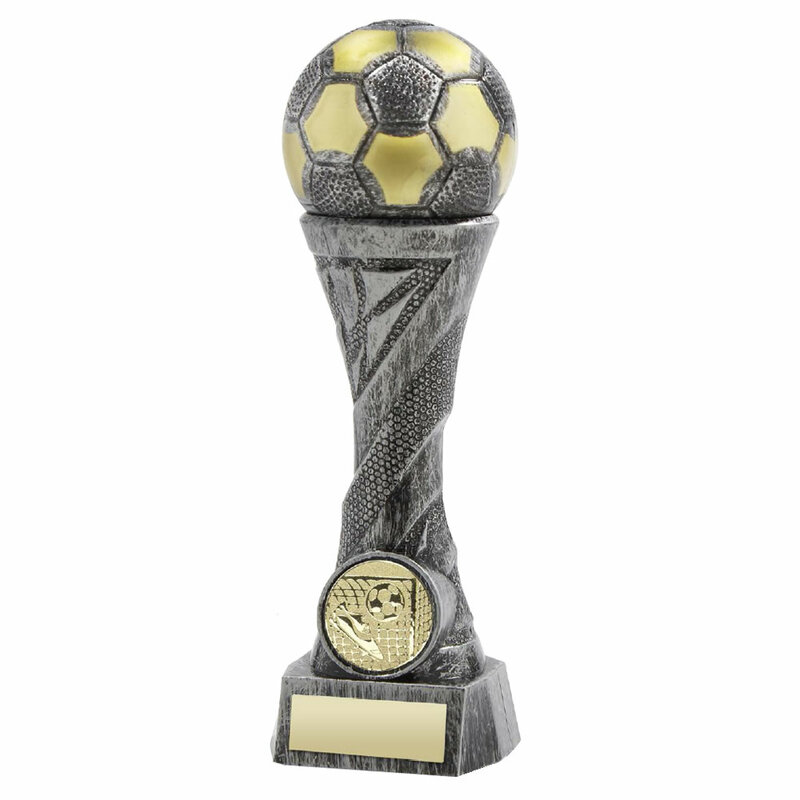 Available in four sizes, these heavyweight football trophies are offered here with engraving options for the base plate.